Today there won’t be lots of economic reports to affect USDJPY however this pair will be under the influence of Japan Retail Sales y/y and National Consumer Price Index which has remained intact. 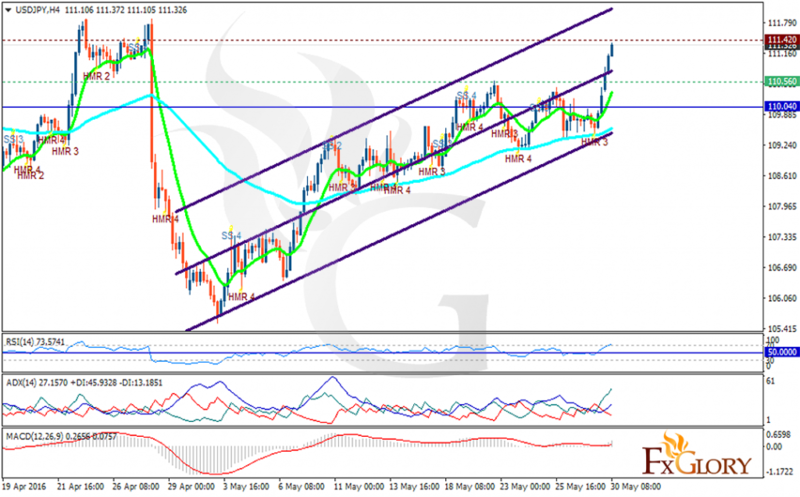 USDJPY ended the week with bullish bias and today as the market opened it continued its upward trend. The support rests at 110.560 with resistance at 111.420 which both lines are above the weekly pivot point at 110.04. The MACD indicator is in positive territory, the RSI is above the 50 level and the ADX is showing strong buyers. Moreover the EMA of 10 is moving above the EMA of 75 confirming the bullish scenario. It seems that this pair will be climbing up the ascendant channel. Long positions are recommended with the target at 110.60.